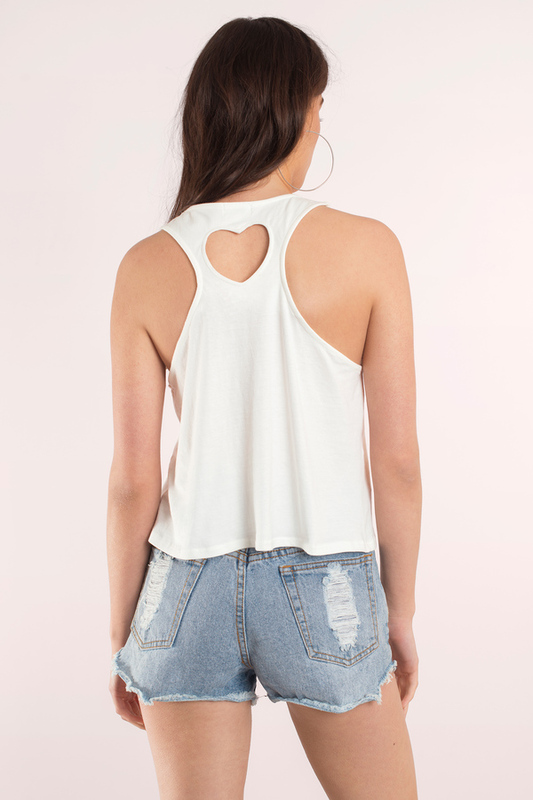 Check out Tobi's Cristabel Crop Top Basic crop top with a high neckline and no sleeves. In the back there is a heart cut out. Available in black, blush, ivory, mint, and lavender. Wear with your favorite jeans or a a pair of shorts. 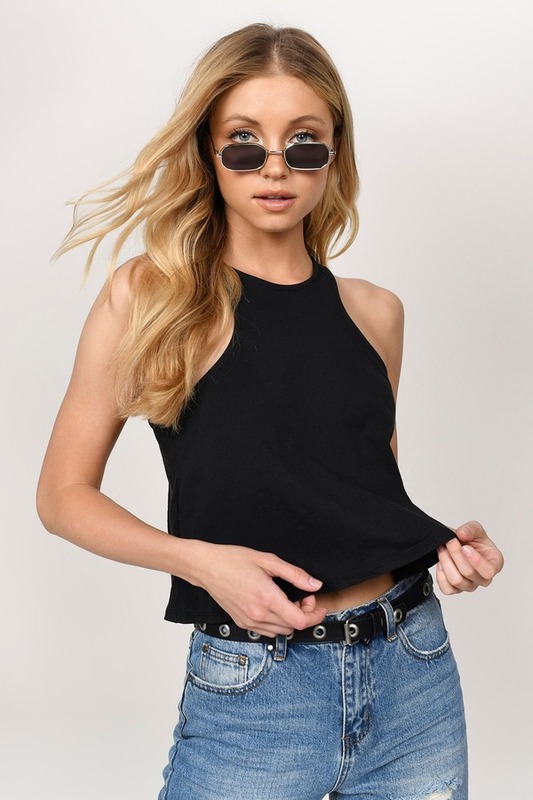 Basic crop top with a high neckline and no sleeves. 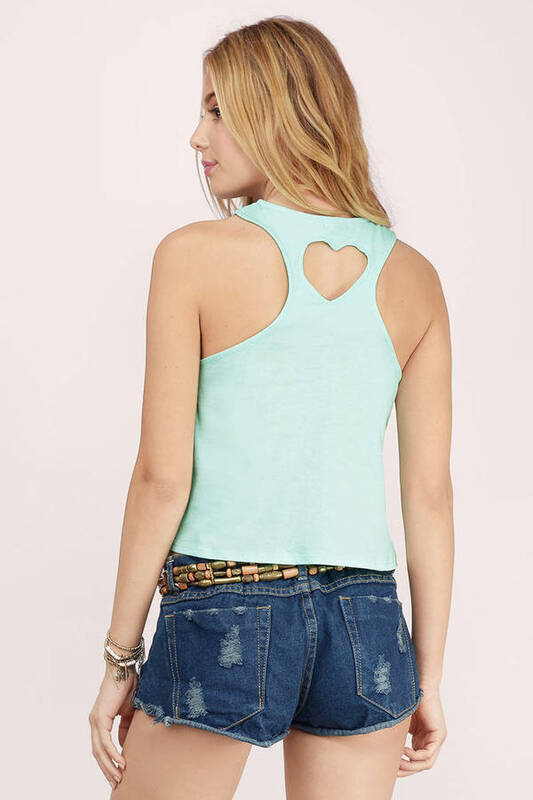 In the back there is a heart cut out. Available in black, blush, ivory, mint, and lavender. 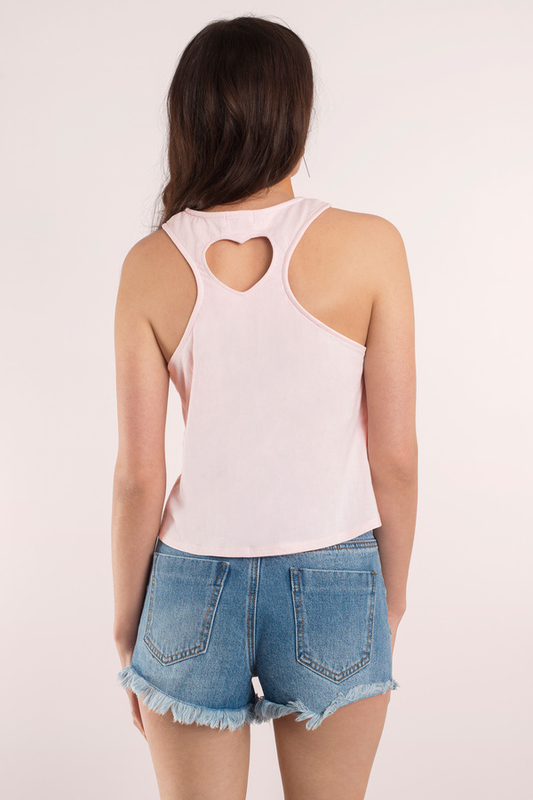 Wear with your favorite jeans or a a pair of shorts. Blush & Ivory modeled on a size Small.